On the border with Punjab, Una is a gateway to Himachal Pradesh. Within the state it has borders with Kangra, Hamirpur and Bilaspur. The region is a mix of both plain and hilly areas. Guru Arjun Dev, the 5th Guru of the Sikhs, is said to have named the place ‘Unnati’ meaning progress as a mark of respect for the hardworking people who work the land. Una, the town is nestled on the bank of River Swan, a tributary of Sutlej. The regions low hilly terrain that gradually flattens out to merge with the plains, gives Una tropical weather which can get pretty hot in summer. The town also serves as a district headquarter. Languages Spoken: English, Hindi and Punjabi are understood and spoken by the people associated with tourism. Locals mostly speak Punjabi, with a small section using Kangri, a dialect, in their everyday lives. Clothing Essentials: Una with its hot climate makes cotton the best clothing choice. In winters the temperatures do fall substantially and light to heavy woollens are needed. Air: The nearest airport for Una is the Chandigarh International Airport at a distance of 132 km. Rail: Una is connected by train and Indian railways plies regular train service between Una – Chandigarh – Delhi. Road: Una is well connected by road. Regular public and private bus services operate to cities of Kangra, Dharamshala, Hamirpur, Chamba, Chandigarh, Delhi and other places. For more comfort travel, taxis are readily available. 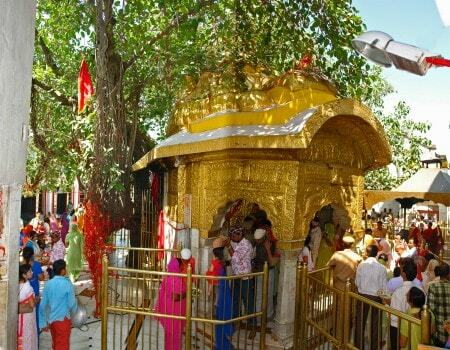 Be a part of the Religious festivities and prayers at Shree Chintpurni Devi Temple. Visit the Dera Baba Bharbhag Singh Gurudwara. Una has some tasty eating outlets, especially for those who like spicy Punjabi food. Fine dining options may be limited but there are plenty of clean Dhabas that serve fresh north Indian cuisine dishes. The town is well connected by road. Private and public transport bus routes are connected to cities like Dharamshala, Chamba, Chandigarh, Delhi, Shimla and others. For more travel comfort, taxis are readily available. Una is equipped with good medical facilities. There is a government regional hospital at Una, a civil hospital at Amb, Chintpurni and Gagret, and well run private clinics in the area that meet the needs of all tourists. Spread over nine auspicious Navratra days in March/April (Chaitra) and September/October (Ashwina) in accordance with the holy Hindu calendar the pilgrim town of Chintpurni takes on a festive look. Large crowds of pilgrims do visit the revered temple and pay their obeisance to the resident goddess, who symbolically is represented as a pindi – a stone with embedded foot imprints. A fair ‘Mata Da Mela’ to celebrate Shri Chintpurni Devi’s bounty is held at Bharwain village, which is at the gateway to the temple. Believers hold that as the dead body of Sati dismembered during an all consuming cosmic Tandav dance of Lord Shiva, it was the dead goddesses feet that fell at Chintpurni, giving the place its name. A gold plated shrine, at the center of the temple complex, is an impressive monument. One has to walk to the temple as no vehicles are allowed in the premises. Chintpurni is 54 km from Una town. The Shivbadi at Amobta village traces a history back to over 5000 years ago. 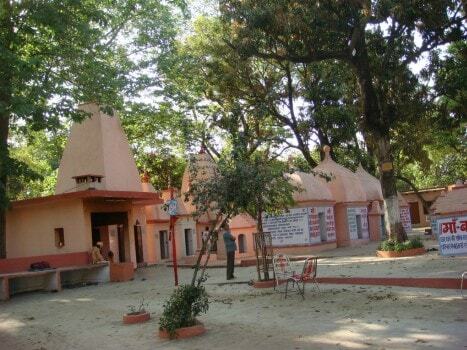 The old Shiva Temple site is believed to have been the Gurukul school of Acharya Drona, where both Kauravas and Pandavas princes of the Mahabharata story received an early education and were trained in martial arts. The childhood rivalries among the cousins later erupted into the great battle that the epic tale chronicles. Ambota is 38 km from Una and 30 km from Chintpurni. A relatively unexplored and untouched gem, the Solah Singhi Dhar, also known as the Jaswan Dhar, was the outpost of the Katoch Dynasty of Kangra. Hidden high in the hills are two forts built between the 11th and 13th century. Even in ruins they are magnificent structures. In the smaller fort, a courtyard and a watch tower are still intact. The larger fort, a two storied structure, is constructed over a steep cliff. 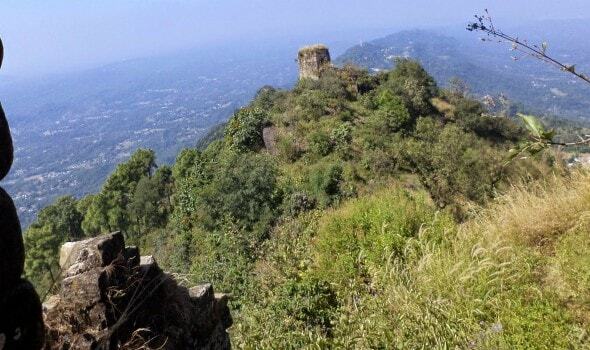 Piplu, the highest point on the ridge line, offers expansive views of Gobind Sagar Lake. To reach the Bangana Forts one has to trek over a rocky trail. Bangana is 26 km from Una. En-route there is small temple and a well that has clean water. One must trek to the place in daytime as leopards have been sighted taking refuge in the ruins. The fort can only be reached on foot from Bangana. A vast expanse of emerald waters stretching for kilometers into a distant sight, surrounded by low lying mountains, the Gobind Sagar Lake is one of the largest manmade lakes of India. 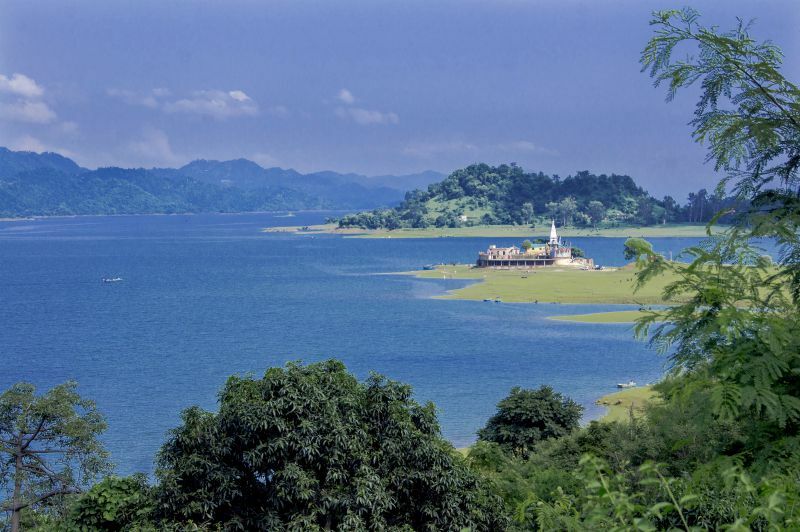 The large waterbody, spread in Bilaspur and Una districts, covers over 170 square kilometers of surface area. The lake is named after Guru Gobind Singh, commemorating the 10th Sikh Guru stay in the hills during his long struggle against the Mughal empire. A variety of fish, which includes Mahaseer, Carp Catla, Mrigal and Rohu are found in the lake that make it a haven for recreational fishing. Fishing season is open in March-April and October-November.